A combination of memoir and essay collection which explores Florida as a microcosm of the most pressing economic and environmental perils haunting our society. Sunshine State embodies Florida's unpredictability in the best sense. 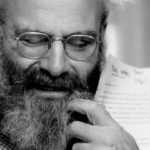 The essays are structurally intricate and ultraprecise in their depictions of both the physical and human worlds. Always intimate and never insular, they span a wide range of subjects—some trace the personal roots of family histories and youth and lost friendships, while others look outward to environmental conservation, religion, and homelessness ... Why is Florida so fucked up? That's a question I've heard, in one form or another, many times over. At least a partial answer can be located in the labyrinths of systemic dysfunction that Gerard describes, though of course broken systems are hardly unique to the Sunshine State. In this way, Florida is one of the most American states in the union ... Sunshine State is utterly without sentiment or the Dave Barry wackiness so often ascribed to Florida. Instead Gerard pierces the sunshine and shows us the storm. Thanks to books by John Jeremiah Sullivan (Pulphead) and Leslie Jamison (The Empathy Exams) and a handful of other young writers, the essay collection has new impetus and drama in American letters. The essay has gained ground on the short story. 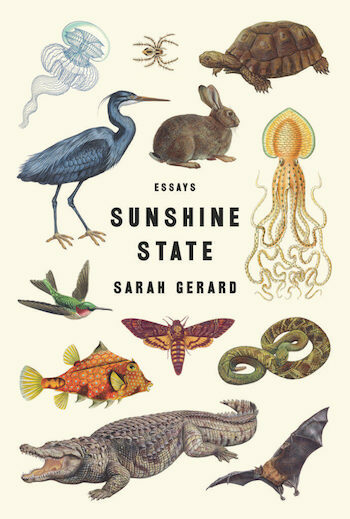 Sunshine State deserves to be talked about in this company, even if its essays are hit-and-miss. When Gerard is on, she is really on ... The first essay ['BFF'] is a knockout, a lurid red heart wrapped in barbed wire ... Two of the longer pieces, about work to care for the homeless in Florida and about a troubled bird sanctuary, are serious and impeccably reported. But the author’s voice is lost in the telling. She’s best when her evocations of the frenzy that is Florida are personal. ...[a] penetrating and deeply felt debut collection of essays ... [In 'Mother, Father, God'] Gerard strikes just the right balance between objective distance and glimpsed emotion. She also establishes the dynamic she uses to great effect throughout the book: unflinchingly candid memoir bolstered by thoughtfully researched history ... Sunshine State is not a glowing encomium of Florida, nor is it a snarky takedown. Instead, it's a drifting, psychogeographical exploration of a place she once called home — and that, in return, has come to live inside her. What did you think of Sunshine State?